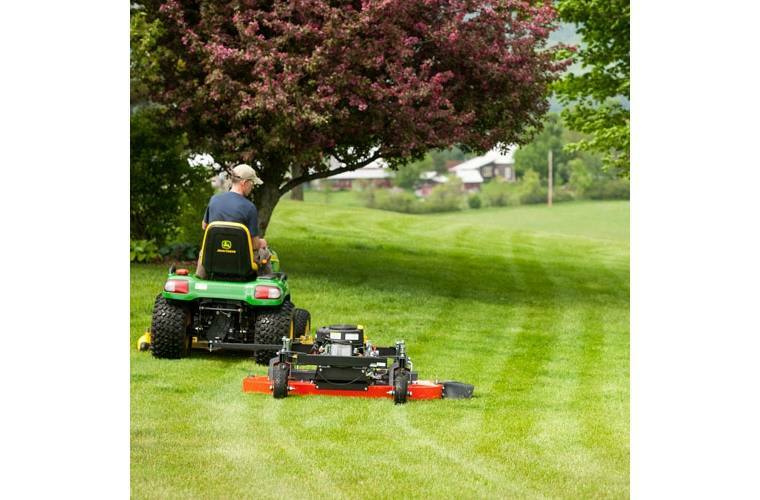 Our 60" tow-behind finish mower delivers a high quality finish cut on lawns and flat off-lawn areas. 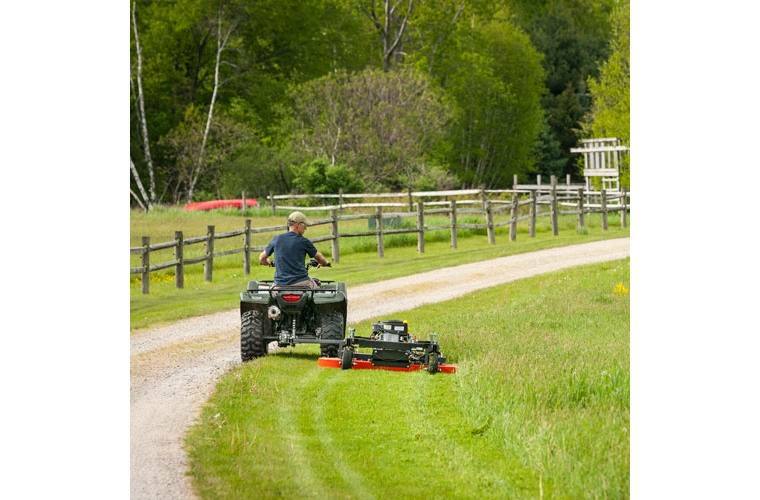 Tow behind your ATV or use as an outrigger and mow simultaneously with your riding mower. Mow up to 2.75 acres/hour! 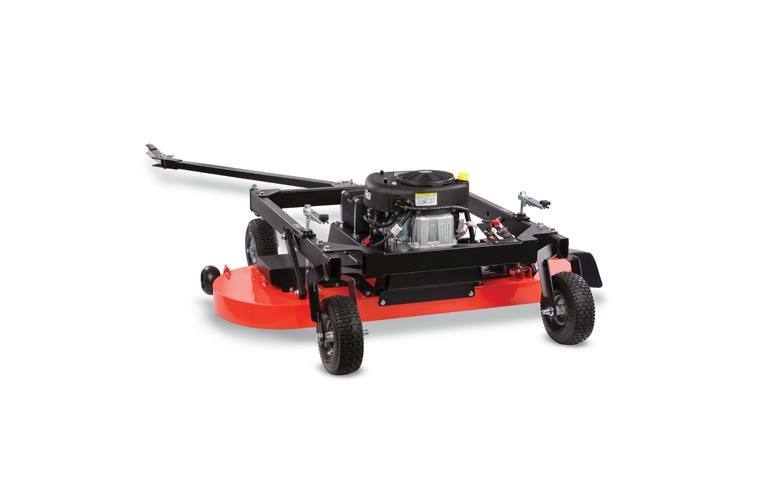 60" Cut: With its wide cut, the DR Finish Mower can function as a solo tow-behind, or you can use it as an outrigger mower along with your riding mower and increase your cut width dramatically...even DOUBLE it. Floating Deck: Rises up and over obstacles. 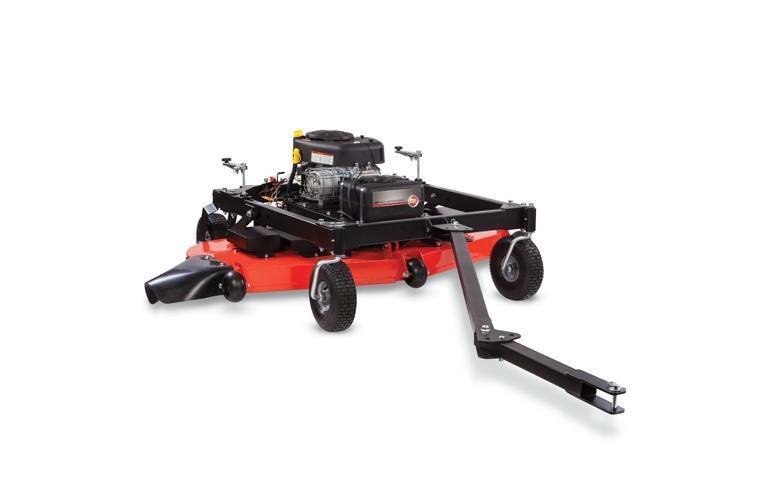 This helps minimize scalping while preventing damage to your mower's blade, spindle, and engine from roots, stumps, rocks, and hummocks. 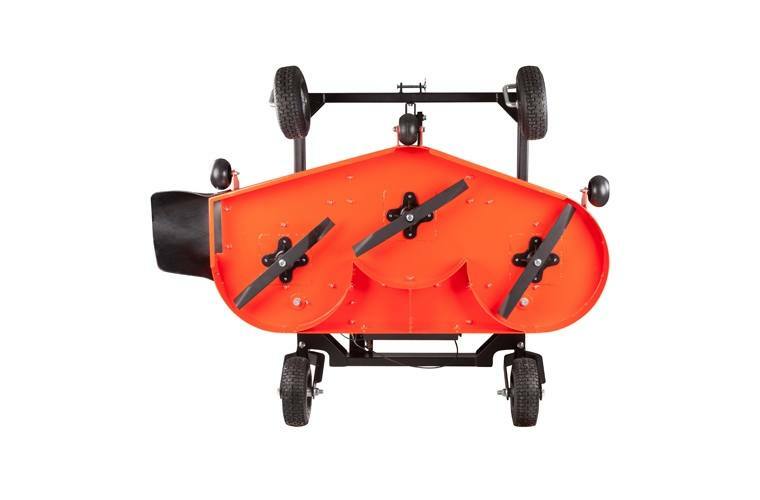 Adaptable Tow Bar: The two-piece tow bar allows you to offset the mower to either side (up to 76") or mow straight behind your tow vehicle. Turf Tread Tires: 11", low-impact tires are fine for groomed lawn areas, but sturdy enough for tracking in meadows and other uneven terrain. 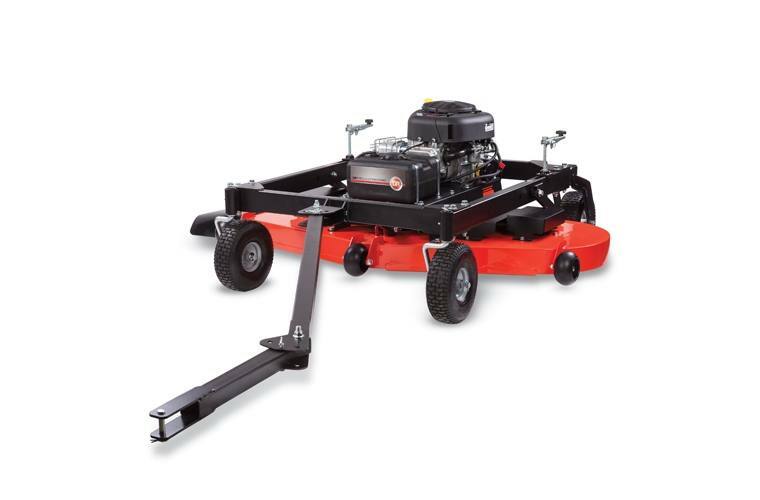 Triple Blade Design: Three heavy-duty mowing blades cover the 60" cutting width. Material is partially mulched before being discharged. 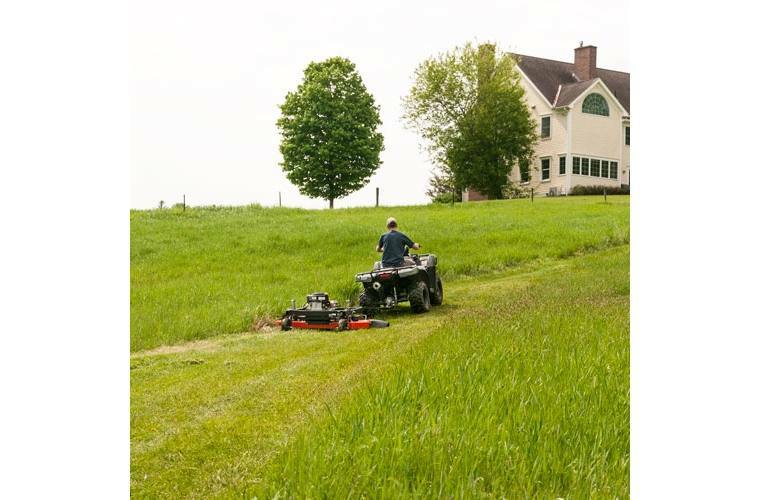 Powerful Engine: The legendary power, performance and durability of Briggs & Stratton® engines make them the only ones we use on our Field and Brush Mowers. They are easy to start, comfortable to use, and feature a debris management system that protects the engine from whatever you kick up while you're cutting. Adjustable Deck: Two simple hand cranks offer infinite cutting height adjustment between 1.5" and 5.5". 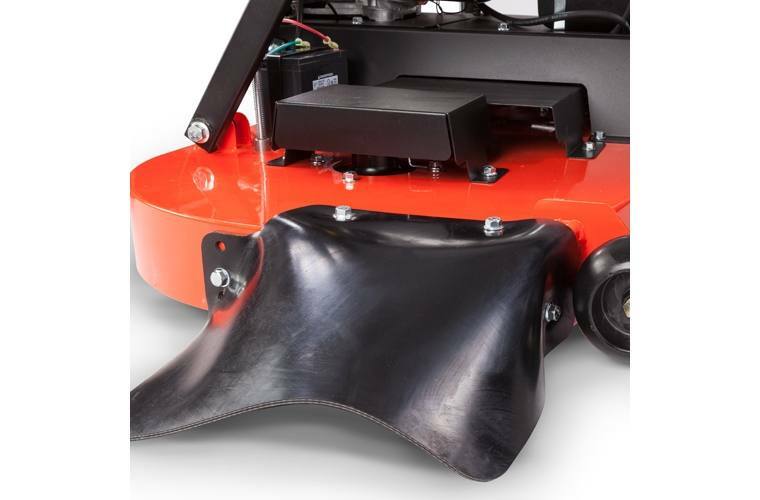 Anti-Scalp Wheels: keep the mowing deck suspended to prevent gouging when mowing on uneven terrain.